We’re lost but nobody knows it. 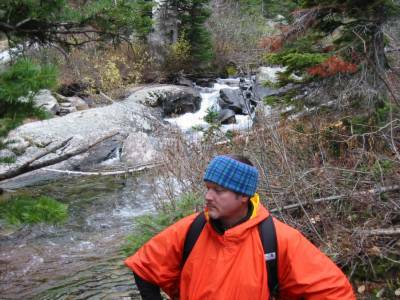 It’s OK to be lost in the wilderness when you’re wearing a fine Italian gator as a headpiece, a Sierra Club Ski Patrol poncho, and a serious look of lost awareness. Keep the river on your right. Should we walk backwards then?? Saw several Moose and heard several “noises” pacing me in the woods. 15 miles on the Canyon trail in the Tetons.